According to a new report by Japan’s Nikkan Kogyo Shimbun, screen maker Japan Display plans to start producing OLED displays for Apple’s iPhone in Spring of 2018. 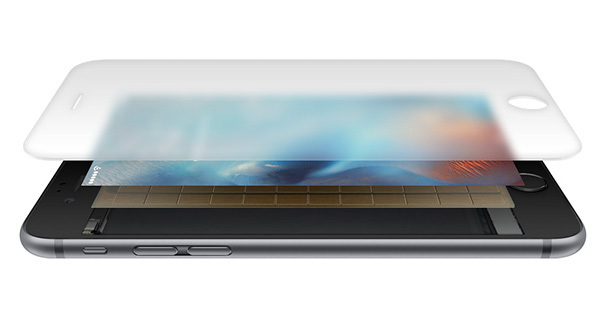 That jives with recent speculation that the iPhone will not see an OLED screen for the next three or so years. Japan Display, a joint venture formed by Hitachi, Toshiba and Sony in 2012 is already supplying LCD iPhone screens for Apple, and its executives are reportedly already in discussions with the iPhone maker with an eye on a future deal. That deal would see Japan Display beat out competing OLED screen suppliers Samsung Electronics and LG Display. Apple has used LCD screens in its iPhones since day one, but OLED displays are capable of darker blacks and improved contrast while also using less power. That last feature is likely key for Apple, a company determined to make the thinnest and lightest phones possible. A reduction in the amount of power used would mean that iPhone batteries could be made smaller – allowing for a thinner over all iPhone design. While 2018 does seem quite a distance away, KGI Securities analyst Ming-Chi Kuo has already suggested that we may have to wait a full three years before we see an OLED screen in an iPhone while the aforementioned report by The Korea Times too quotes a 2018 target in partnership with Samsung or LG. Based on Apple’s current release cadence and with the iPhone 7 due in September next year, the iPhone 8 appears to be the handset earmarked for that fabled OLED screen. Don’t expect LCD to go the way of the dodo though, with Apple likely to continue using the existing technology in it’s lower-end products. At this point, we haven’t seen any mention of OLED making an appearance in the iPad, though it’s possible such a thing may be on the cards. Apple does currently offer a device with an OLED display – the current Apple Watch. Last time I had a phone with an OLED it was a SAMSUNG and it was horrible in bright light due to being reflective behind the glass, like silver foil.